It was midway through Nashville Soccer Club’s inaugural season, and goals were scarce. The summer had started with promise after Nashville finished off an 11-game unbeaten streak that included a home win over Major League Soccer’s Colorado Rapids in the U.S. Open Cup. However, that triumph quickly deteriorated as NSC scored just one total goal in five games over a miserable month of July that included shutout losses to three non-playoff teams. 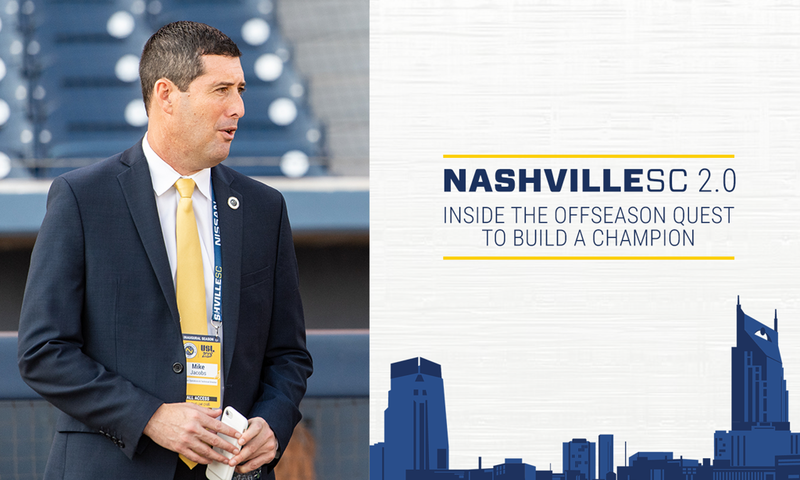 Nashville SC technical director Mike Jacobs and head coach Gary Smith sat down in the staff office at the training facility in the midst of that forgettable stretch to begin talking about Nashville’s 2019 roster. They called it Nashville SC 2.0. Meetings were weekly, as Jacobs and Smith looked to take a good roster, one that would eventually clinch a playoff berth, to an outstanding one, and it was up to Jacobs to identify some potential targets for Smith. At the time, it was just talk. Now, it’s prophecy. The wish list started out as an extensive Microsoft Excel spreadsheet with dozens of potential targets, full of positions, stats and contract numbers. Eventually, that list was narrowed down to names on a white board. Throughout the week, the names would change as Nashville SC 2.0 was a living, breathing document, always being updated, changed, tweaked. As the Nashville SC 2.0 meetings continued throughout the back half of the 2018 season, the duo created what Jacobs dubbed “shadow teams,” basically, an MLS and USL Best XI of targets. That Best XI was Nashville SC’s wish list for the offseason, but it wasn’t just about acquiring the best statistical players. It was about finding the best players for Nashville SC. There was also a welcome wrinkle for Jacobs and the rest of the Nashville SC technical staff this offseason – an opportunity to invest early into Nashville's MLS team. As years change to months in the lead up to Nashville’s entry into MLS, Nashville SC has continued to reap the benefits of an upcoming promotion. For the creative mind of Jacobs, having both MLS and USL resources at his disposal must have felt like giving a Michelangelo a brush with a blank Sistine Chapel ceiling at his fingertips. Last season, it was Jacobs who utilized every possible USL player acquisition method (transfer, trade, loan, and free agency) to build the inaugural Nashville SC roster on a tight budget. Now, with more colors on the palette, Jacobs could design Nashville SC 2.0. He took full advantage, not only investing in the city’s first two MLS players, but signing those players early to loan to NSC and augment the offense in the USL in 2019. 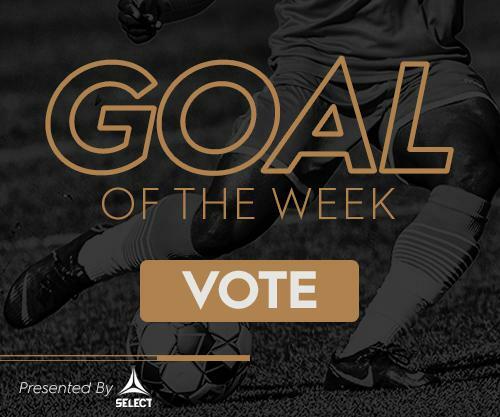 Cameron Lancaster and Daniel Ríos were on the USL Championship Best XI in 2018, the top two scorers in league, with 26 and 20 goals, respectively. Combined, they scored more goals than the entirety of Nashville SC last season. Add on scoring winger Kharlton Belmar, who himself has 40 career USL goals, and those were the three names at the top of the attacking wish list. Now the trio will wear Nashville SC uniforms. Jacobs and Smith didn’t just stop there. They acquired top USL defenders, Ken Tribbett, the USL’s Midseason Defensive Player of the Year, and Darnell King, another USL Best XI player. Finally, they added keeper Connor Sparrow, who spent last season in MLS and will compete for Nashville’s starting keeper spot this season. In all, it comes out to six front line additions to a playoff roster from a year ago. Of course, Jacobs also had to keep an eye on the future and MLS. Nashville SC’s technical director was named Nashville’s MLS General Manager in October of 2018, and the wheels had already started turning in his mind on that roster as well. Enter an opportunity to acquire two MLS players, one from from the storied Club de Guadalajara in Mexico and another from the defending USL Cup champions Louisville City FC. That year-long runway is what makes Music City, and Nashville Soccer Club, such an attractive location for the USL’s best players in 2019. Next offseason, it is likely that Jacobs will have to fill an MLS roster with 30 names, while most other MLS teams will have to fill just a handful of spots. Each player with a Nashville SC crest on his jersey will have the unique chance to impress the city’s MLS GM every game. That isn’t to say Jacobs didn’t have competition for the players he wanted to acquire. While last year Jacobs was competing with other USL clubs for players, this offseason, the New York native was fending off MLS clubs for players he wanted to add. Tack on to that the different mechanisms of two professional leagues to navigate for the Lancaster and Ríos signings, and Jacobs had his work cut out for him. Now, Jacobs and Smith have assembled a roster that on paper appears to be one of the favorites in the USL Championship. The technical staff added a total of 64 goals in 2018 in five new outfield players signed, including the top two USL scorers from a year ago. Expectations amongst fans are high, but the highest expectations exist in the locker room. Like Jacobs mentioned, it’s not a video game. In fact, soccer fans in Nashville won’t be able to virtually play with their hometown team until MLS arrives. But one thing is certain, with Mike Jacobs and Gary Smith at the control sticks this offseason, Nashville SC 2.0 is poised for a run at a championship.